I’m a writing resource for many brands and am usually excited about the content we create. But I have to admit, I’m often disappointed with the reach (or lack thereof) my clients achieve with it. The typical answer I get is something along the line of, “Oh, that’s Jess in marketing.” Sometimes the answer is “We have a vendor for that,” which is bound to be an agency, freelancer, or even intern. The reach is severely limited. The content comes only from the marketing department, meaning the trust factor is inevitably low. Brands that excel in social media overcome both of the above challenges by expanding their legion of social media purveyors. Doing so helps multiply their reach and enjoy a greater level of credibility that comes from having people outside the marketing department share their stories. In this post, I’m going to propose social media advocacy programs for employees, customers and other constituents you can ally with. Marketers have dubbed the promotion of a company by its staffers “employee advocacy.” Employees are empowered to support the goals of the company via the communication channels they use. Social media is the main medium for employee advocacy; however, it can also include email, chat, forums, discussion boards and more. Here’s a powerful six-pack of steps to launch an effective employee advocacy program from the experts at Smarp, a company that’s created an app designed to distribute company news and content to its employees and make the process of sharing it easy. Set clear goals—Establish goals to measure the impact of your employee advocacy program. Goals may include increasing brand awareness, improving employee engagement, increasing qualified leads and more. Get executive buy-in—A CMO or someone in the C-suite should champion and lead the program. The program’s lead should share an action plan and promote active participation by employees. Select the right resources—Create a cross-cultural team to participate, including sales, marketing, human resources, product management and corporate communication. Train participants—Provide hands-on training to potential employee brand advocates. Make the program part of the company culture by including employee advocacy training as part of employee onboarding sessions. Supply great content—Create and distribute high-quality content and encourage employees to curate it to build both the corporate brand as well as their personal brand. Give them the freedom to share what they choose and personalize it as they see fit. Reward them—Acknowledge and reward the efforts of your employee advocates. Gamification tactics can go a long way toward building and sustaining momentum. While employees are your most accessible faction to amplify your social media, customers can be your most powerful advocates. In his insightful post, Happy Customers Are the Biggest Marketing Opportunity of 2018, HubSpot’s Kipp Bodner claims it’s never been more difficult for marketers to build trust. As the title suggests, a practical and powerful way to respond is to empower your customers to speak for your brand. I gathered three great psychological concepts from an interview with Mark Organ, the founder or Influitive, from a post on Marketing Insider Group. Tribes—Customers are more prone to advocate when they feel they’re part of an exclusive tribe. 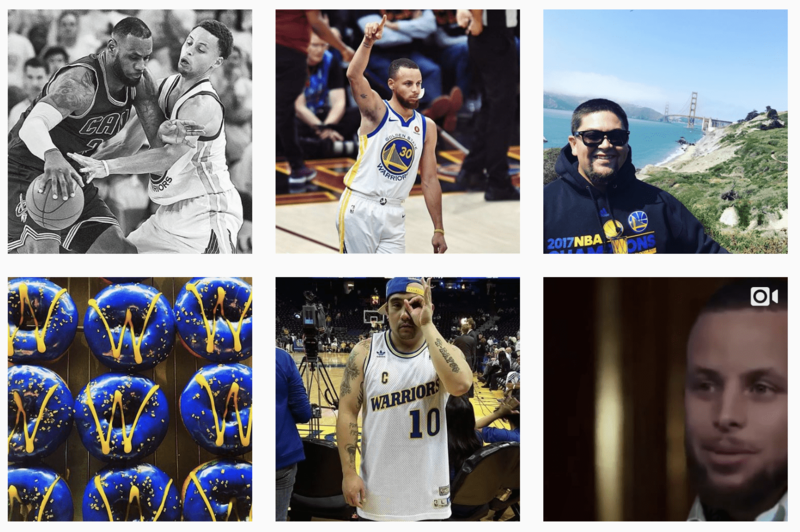 #DubNation—with 1.5-million posts on Instagram, is a great example of how sports teams rally support with a tribe mentality. Much can be accomplished by giving your tribe the right name and make people feel like they are a part of something and special. 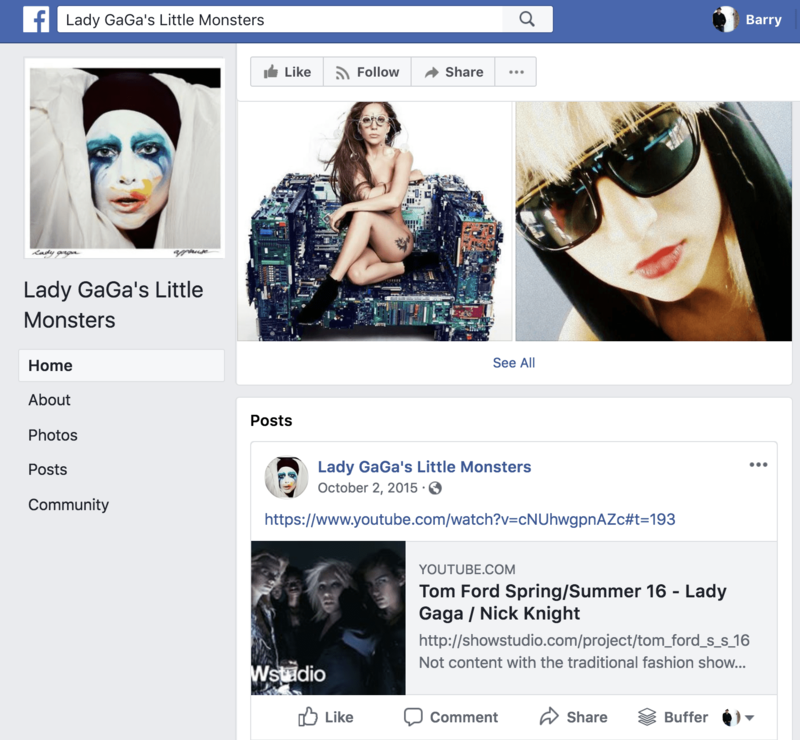 On Facebook, the “Little Monsters” fan club are about all things Lady Gaga. Feedback—Customers want to know they have an impact. As such, they advocate more when they receive feedback. Social capital—A simple idea: customers become more enthusiastic advocates when they benefit from their actions. 2. Invite customers to join your advocate community. Fans of your brand are likely to take you up on offers to join your advocate community. Position it as an opportunity to get exclusive access to special perks and resources. 3. Ask them questions. Build relationships with customers by asking questions about their jobs, lifestyle and favorite things about your products and services. 4. Ask for feedback. Increase your advocates’ ability to be heard and bond with your brand by asking open-ended or multiple-choice questions about your products and content. Place these requests in strategic pages on your website and blog. 5. Invite them to a user group or event. Your best advocates are eager to share their opinions and knowledge. You might invite them to user groups and events and sweeten the offer with discounts, VIP seating, or other perks. Again, solicit their opinions. 6. Offer VIP access to products. You can get advocates excited about new products and features by sharing exclusive previews. You can also apply the strategy to marketing campaigns such as a new website design, app, or anything you might create focus groups for. 7. Create an advisory board. Invite power users to join a Meetup or a private community. 8. Request a testimonial. The perfect time to ask for a testimonial is when an advocate provides positive feedback. You might also point advocates to third-party review websites. 9. Create case studies. Got a testimonial? Try parlaying it into a customer case study. Place requests for these in places exclusive to your current customers. 10. Ask for referrals. Ask your satisfied customers to provide referrals after they’ve had a successful interaction with your company. If you’d like even more ideas for strategically creating customer advocacy programs, I strongly recommend The Advocate Marketing Playbook by Influitive. Your sphere of influence might also include prospects, fans and followers who haven’t yet bought your products or muttered a word about your brand to their friends. The key is to inspire prospects to advocate for your brand is to delight them at various touchpoints. Promotions are a powerful way to entice prospects to become a part of your social scene. There are countless options for conducting promotions and leveraging them on social media. Let’s look at a few highly engaging promotion ideas including promotional tactics that inspire prospects to create user-generated content on behalf of your brand. Contests—As I wrote about in an earlier post about engaging social media strategies, social media fans tend to love Instagram and Facebook contests and are especially engaged by contests that involve shooting and sharing original photos and videos. Sweepstakes and giveaways—Promotions such as these are essentially contests, however, winners are drawn randomly. 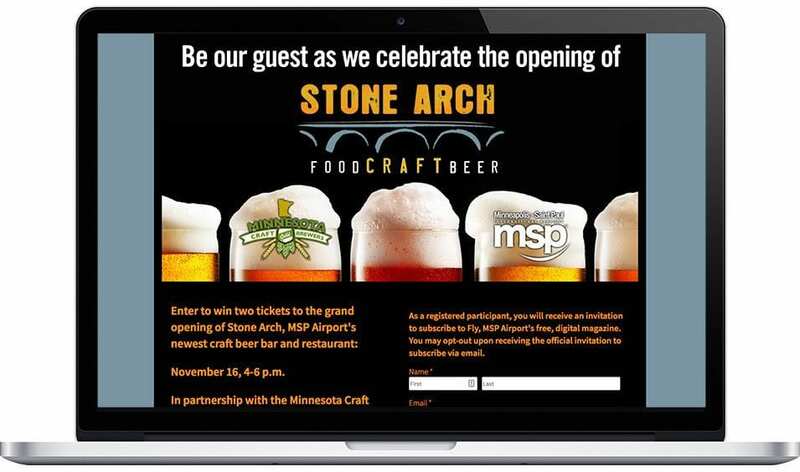 The ShortStack blog shares an example of how Stone Arch Food Craft Beer combines sweepstakes with a grand opening event. Games—Gamify stuff. People love it. Having a game element to your promotion can enhance sharing, inspire participants to stay involved for a longer period of time and develop goodwill with your brand. Free memberships—Build your email list and advocacy at the same time by asking prospects to “join” something you’re doing. Reward them for doing so and, of course, ask them to share the word. Coupons—Various types of discount programs lend themselves to word-of-mouth benefits. Create promotions that encourage sharing, referrals, upgrades, etc. Content—New visitors to your blog, website or social pages may rally for your brand if they’re offered access to premium content. Asking for—and rewarding—prospects for feedback can also help build advocacy. Events are social media diamonds. If you conduct events of any kind, offline or on, I encourage you to think of all attendees (whether or not they fall into one of the categories we’ve discussed thus far) as potential social media buddies. Of course, brand your event as strongly as possible and attach relevant hashtags to the conversations. 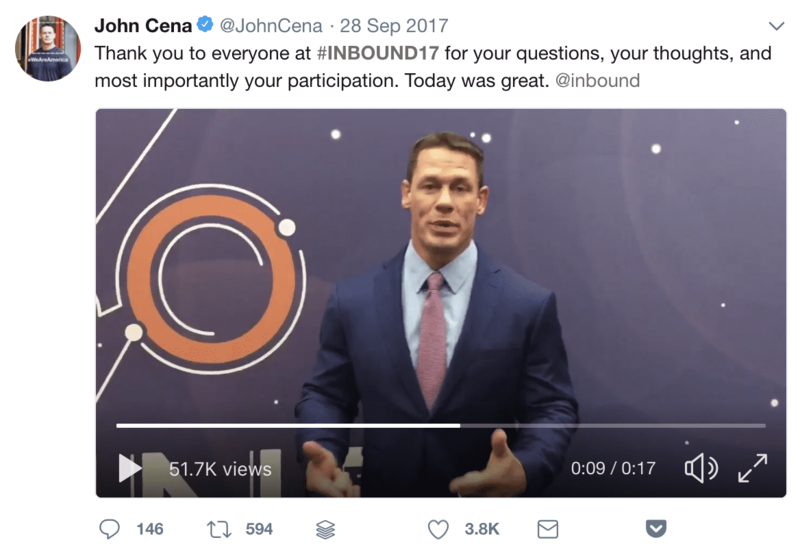 Each year at the HubSpot Inbound conference, attendees rally lend their voices to our social media marketing by posting videos, selfies, lessons learned, party photos and every conceivable type of content. Search #Inbound2017 and see. Partners in promotions—Complementary brands often come together to create exciting promotions. Here are ten fun examples from a HubSpot post. Partners in content—Content partnerships can take many forms including interviews, roundups, joint research projects, co-created ebooks, and much more. Publishers—Does your brand collaborate with publishers to write guest columns, contribute articles, or guest blog? This too presents opportunities to join forces for social media promotion. I’m out of ideas for expanding your social media army. Perhaps you’re not. I’m hoping your juices are now flowing with ideas to tap into employees, customers, attendees, partners and anyone else capable of making your voice on social media bigger and better than one or two people in your marketing department. Remember, it’s not just about reach. 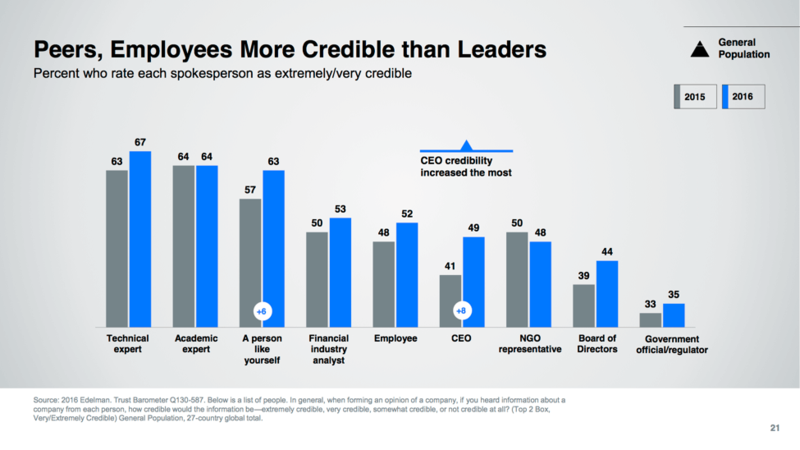 It’s also about credibility. New media plays by new rules. Do what you can to get other people—inside and outside of your company—to advocate for it via social. I totally agree that marketers need to build their tribe of fans. This is where starting to focus on one platform is important. It’s why I believe that networking is a key element of content distribution and amplification. You need to build your network before you need it. Thanks so much Heidi. Happy marketing backatacha. Excellent and useful information. Thank you! I introduced myself it orbits wine and web this month as the Mephistopheles of social media. My dislike of it has been growing and a couple of months ago I decided to all but ignore social. It’s not that I’ve never taken it seriously, we have 265,000 Facebook fans and another 100,000 or so followers, pinners and everything else. I’m now posting to soccial once or twice a week. I was active in half a dozen slack groups. I visit them no longer. I don’t waste any time reading mindnumbing threads in LinkedIn groups. The result has been stellar. Shoot three short business-related videos. Here’s a screenshot of some top level stats from the past 60 days. Search is what drives traffic. Marketers don’t need Mark Zuckerberg or Jack Dorsey (who’s killing it with Square). I would advocate that everyone at a company gets their own blog, integrate every one ino the company website and that they focus on producing the best content ever, not just pushing words and pictures to strangers on social media. I gather your point is “social media is not an effective driver of traffic.” I don’t recall saying it was. That said, though it’s not for you, it certainly can be for many brands. Good for you for focusing on what works for your business. If you do decide to continue with social I recommend NOT “just pushing words and pictures to strangers.” Social media is for building relationships and opening doors. Does this concept of customer advocacy works the same as for brand advocacy? Especially for personal brand. There’s a definite chicken and egg here. Companies and organizations often assign the role of social media management to a single person or team of professional marketers/communicators. Then it’s the role of that person/team to internally market the marketing amplification benefit of employee advocacy programs. Not every company/client has the available resources, interest and/or socially tuned employees to engage in the benefits of advocacy. Or they just need to grow/mature into it. It’s not an either/or scenario; employee advocacy complements the social media marketer, as social media complements everything. A stellar employee advocacy program banks on the participation of the employees. They need to believe in the power of social media. More importantly, you need to have a leadership team that believes in it. When in doubt, junior level employees are always going to look at their leaders for support. If top management and executives do not support the program, very little can be expected from those who are in the core team.